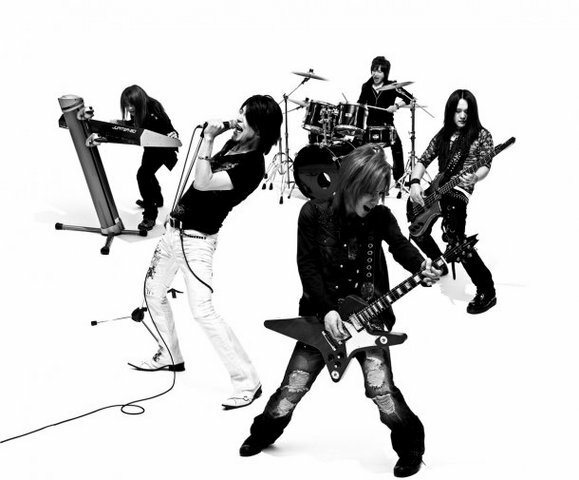 Galneryus was formed in 2001 by guitarist Syu (formerly from Valkyr, Animetal, Aushvitz, and Masaki Project) along with vocalist Masahiro “Yama-B” Yamaguchi (frontman of AxBites and solo artist of Rekion, River End and Gunbridge). Both veterans of the Japanese metal scene, they formed Galneryus with the intention to “express both of their musical tastes/ideas” and so they started looking for additional members to complete the band. They recruited A on keyboards (who had previously played with Syu in Valkyr), Shôgo Himuro on bass, and Toshihiro “Tossan” Yui (formerly of Cemetery, Honey Quest) on drums.